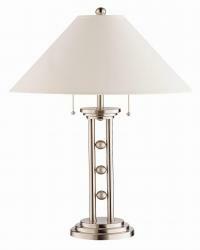 A bold metal base meets an understated white cone shade on this contemporary table lamp. 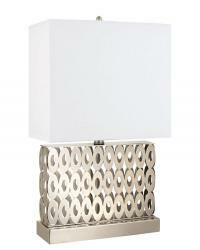 A stacked metal base is topped with twin metal rods that feature three metal spheres suspended between them. 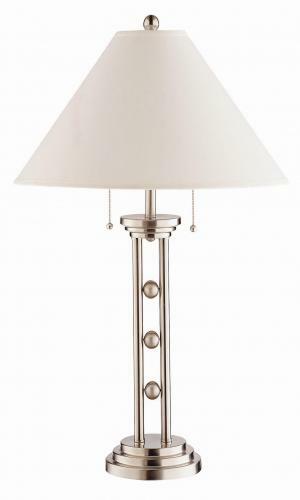 Twin pulls composed of tiny metal spheres hanging from thin silver chain turn the light off or on and add even more contemporary style to this metallic table lamp. 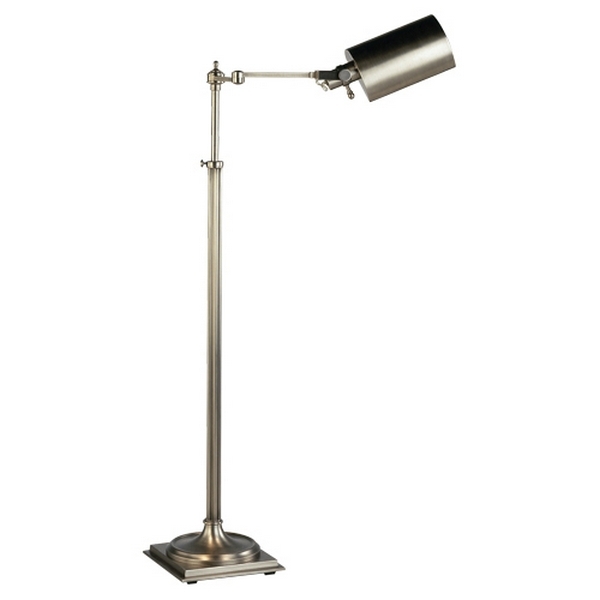 A simple cone shade in minimalist white completes the modern, structural appeal of the lamp.